Kodabar DayZ blog: Ferrari unveils 2012 F1 car. Why should you care? 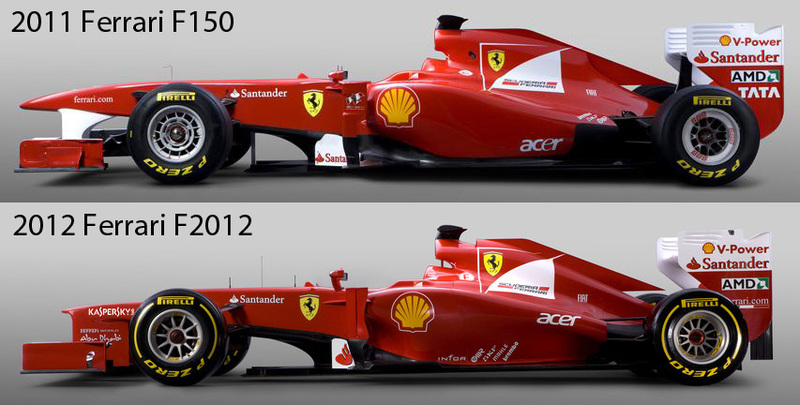 On Friday, Ferrari unveiled their new F1 car for 2012; the rather unimaginatively-named F2012. Well, actually the weather was a bit bad so Ferrari didn't actually wheel the car out and give people a look (that'll happen in due course though), but they did produce a series of photographs of the new car so we can have a look. Formula 1 is an odd sport. For many people it's impenetrable and unexciting. It's certainly a hard sport to begin watching without knowledgeable friends to guide you. The rules are complex and sometimes seem rather contradictory or eccentric, the cars all look the same, may races seem more like a procession than a competition and often it seem like the winner is the driver of the fastest car. Actually, a lot of that is part of the fascination of F1. Yes, there's a disparity in the performances of the cars and it's very unlikely that the teams with lower budgets will win a race. But F1 isn't like football, you don't pick one driver and support them above all others. Formula 1 fans tend to have several drivers they like as well as a couple of teams, but we also tend to have drivers we hate. In any given race, I'm cheering on Fernando Alonso and Ferrari in general, but I'm also a big fan of Kamui Kobayashi of Sauber (but I greatly miss Tacuma Sato). I'm also pretty keen on the progress of the Force India team and I love Mark Webber. I'm also quite interested in the upstart Caterham (formerly Lotus) team. I hate Sebastien Vettel and Lewis Hamilton and I'm not very keen on Felipe Massa or Michael Schumacher. So in every race, I'm watching at least half a dozen drivers. For me, it's not just about who wins the race as much as it is about drivers outperforming their cars and intriguing battles. Half the fun of F1 is talking about it afterwards with other people. The spectacle doesn't end when the chequered flag comes down. Who was to blame in the collision between Hamilton and Massa (as happened so many times in 2011)? Were the marshals justified in penalising a certain driver? 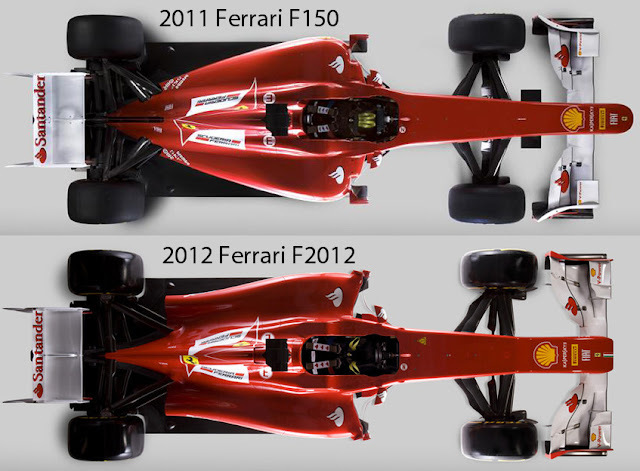 Should Michael Schumacher have stayed retired? Is the Red Bull a superior car or is Vettel just a really good driver? How come Mark Webber's so far off the pace when he's in a Red Bull too? Is DRS helping the sport? And so on and so on. There's just so much to it that you never run out of things to talk about or think about. The cars are a bit more different than they appear. 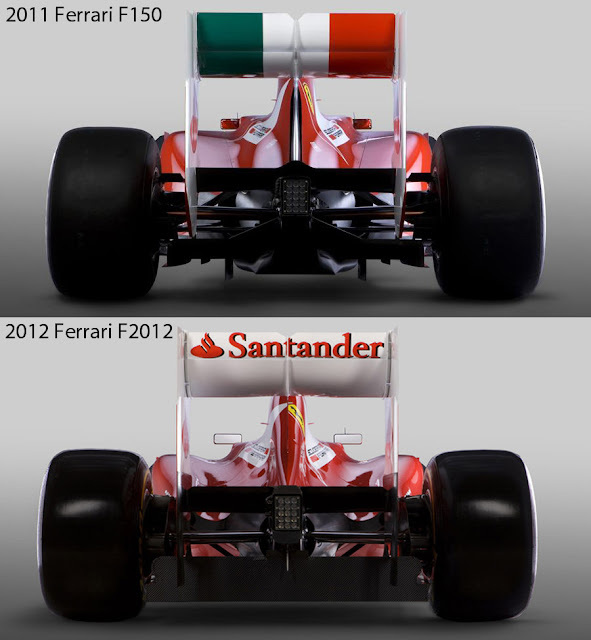 It very interesting to see teams that develop all their own kit like Ferrari versus teams like Force India who buy in parts from other teams and companies. For instance, the 2012 Force India car (also unveiled on Friday) has a McLaren gearbox and the same Mercedes engine as the Mercedes and McLaren teams. 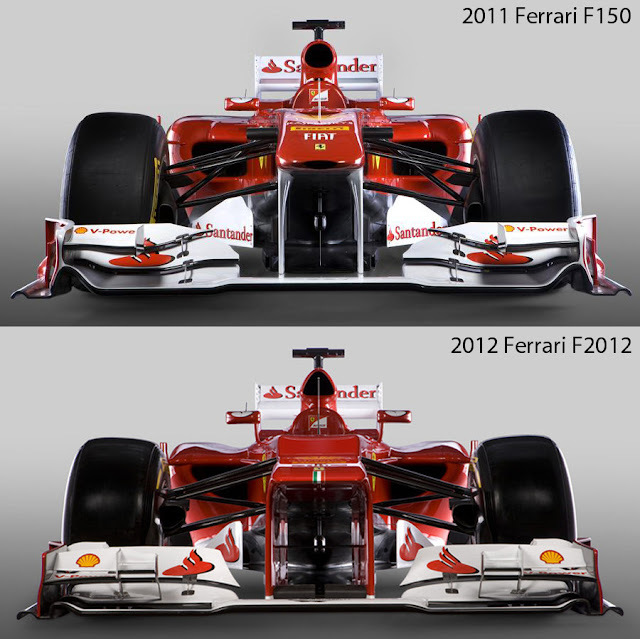 Toro Rosso and Sauber use the same engine as Ferrari, so how come there's such a big difference in the performance of their cars? It's all the other parts as well: the aerodynamics, the suspension, the electronics, the engine mappings and so on, not to mention the drivers. When it comes to technical analysis of the differences between last year's and this year's cars, I can only go so far and I reckon most readers would lose interest pretty quickly. If you're interested in that aspect of F1, I'd suggest you take a look at Craig Scarborough's excellent blog where he covers such stuff in dizzying detail. He's got an excellent analysis of the McLaren car up at the moment.